In Sweden, Leon was broadcast on SVTB, the Swedish kid’s pubcaster and top ranking channel with children. It posted an excellent 36.8% average share with children aged 3 to 14, mesmerizing preschoolers aged 3 to 6 with an outstanding 50.8% average share. It outperformed the channel’s average performances, i.e. 28.5% and 48.6% respectively with children aged 3 to 14 and children aged 3 to 6. Leon easily fended off the competition with Nickelodeon and Disney XD, which only reached 11.9% and 4.1% respectively among children aged 3 to 14. Leon’s savannah adventures fascinated Scandinavian children with a resounding success in Norway too. With an average share of 52.4% with children aged 2 to 14 and an impressive 70.8% with preschoolers aged 2 to 5, Leon ranked easily among the best performing cartoons of the leading youth network NRK Super. 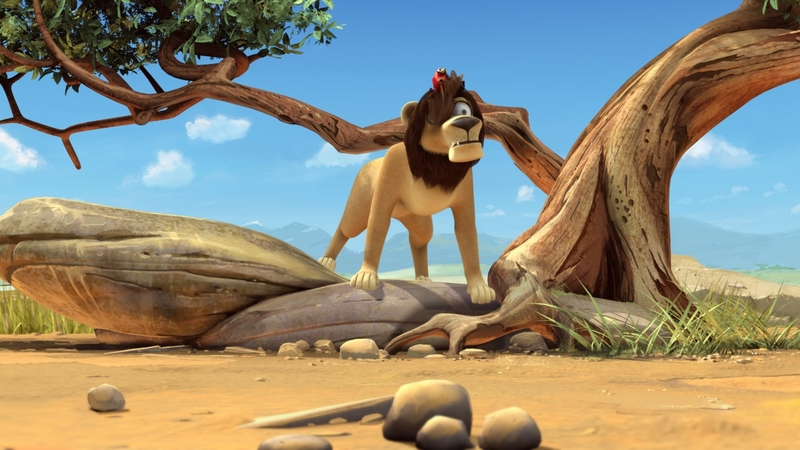 Leon significantly boosted NRK Super’s average share (33.9% with children aged 2 to 14), again beating all competition. Leon also made a hit with Australian children. Aired on ABC3, the children’s public television channel, Leon posted a very good share of 30.7% with children aged 5 to 12 while ABC3 averaged 18.5% over the first half of 2011. In Central Europe, Leon is broadcast on Minimax. In Romania, with boys aged 4 to 6, Leon ranked among the 20 best performing series aired on Minimax over the first semester of 2012.